From one of the most renowned winemakers of the Northern Rhône region of France, the L'ame Soeur IGP2011 from Stéphane Ogier is part of a refined winery allotment and a unique opportunity to own and taste slightly older wine vintages no longer available in market. 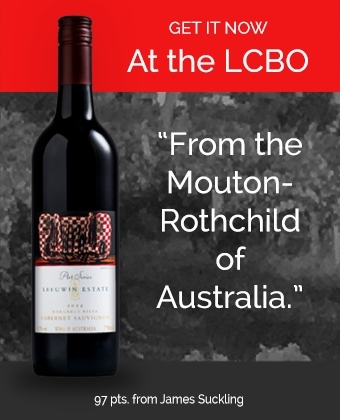 Superb value that competes with wines two to three time its price....Elegant and finesse-driven, with hints of crushed flowers, olive, underbrush and copious red and black fruits, this medium to full-bodied beauty has fine tannin, a seamless texture and ample length on the finish. It can be consumed now, or cellared for upwards of a decade - 92 points. Closer in style to the La Rosine, with its elegant and finesse-driven style, l’Ame Soeur IGP from Stéphane Ogier oozes class with complex blackberry, raspberry, crushed rock, peppery spice and hints of flowers all emerging from the glass. Medium-bodied, impressively concentrated, with classic Northern Rhone purity and focus, it is a brilliant value that should drink nicely for a decade. This wine may be classified as Vin de Pays / IGP but the quality easily justifies it having its own appellation. This beautiful wine from France pairs with a variety of meats with a delicate texture for example roasted quail with gingerbread and prunes.